The best staff. Clear, informative and very helpful. Cathryn is such a helpful and friendly staff! it's my second time visiting SweatSpa and my experience here has been wonderful! Thank you! good service and good experience . the best service and FIR Sauna! Clean and had everything you need. SweatSpa @ BSC. 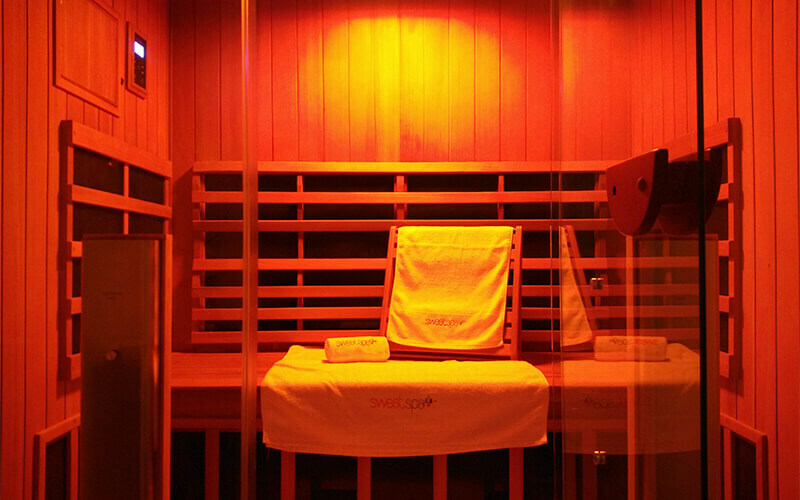 A better sauna room experience. Android media player provided to watch YouTube with built-in sauna box audio system. Lemon water provided to drink before and cold towel to refresh the body after sauna. Thank you to Dorothy for her excellent & warm service !! Very knowledgeable staff and a very refreshing first time experience! very relaxing after coming out, skin felt smoother! Super friendly and helpful staff! Thoroughly enjoyed my first experience here. Highly recommend! Love those sweats. Would definitely go back again!! very nice and comfortable environment, friendly staffs. very relaxing and refreshing experience. started sweating in first 10 minutes. 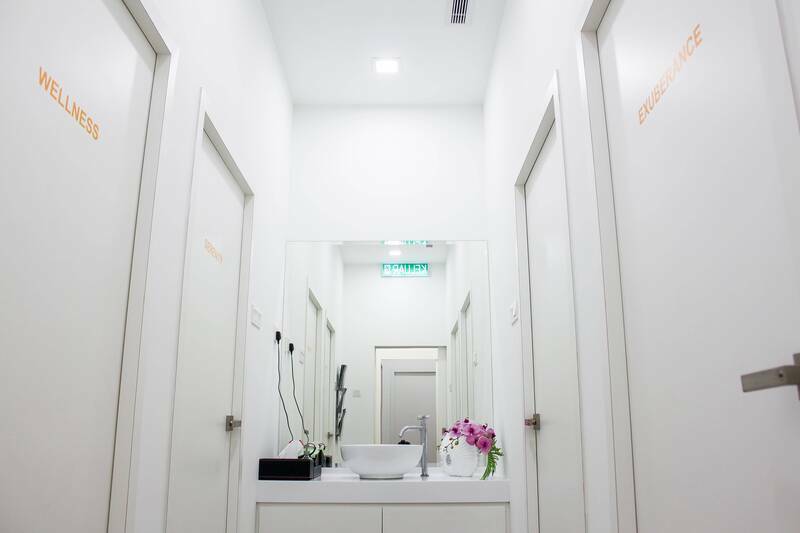 Clean facilities, helpful and courteous staff. Friendly and very informative staff ! such a great experience. thee staff are really friendly and pleasant. Friendly consultant who makes first timer very clear about what to expect. pretty good. it would be beneficial for the staff to explain more on it for first timers. Dulcie is very friendly and explain every details before and after the session.thumbs up to her. Feel detoxified and refreshed after the session! Own private room for a totally relaxing me time. Good explanation from staff. Sweated considerably after 10mins. Try the blow dryer!!! Helps you dry up in no time!!! I sweat a lot and feel refreshing after the sessions. Wonderful experience, facilities and staff 5 star. Relaxing and worth the experience! It definitely helped with relieving my muscle soreness. It was really a great spa! It was a different experience. Staff was polite. Paid extra RM15 for a before and after full body analysis. Would go back again for sure. Still prefer sweating through exercise rather than sitting with not much to do. Nevertheless, it was a good sweaty session! It's a great experience. I don't have to prepare anything when I'm there. They do provide towels and water. It's really important to keep hydrated during the session. I did the detoxification session which is around 45min. Sweat a lot and felt refresh afterward. Would definitely recommend my friends to try. sadly they just provide plain water. not lemon water like other reviews. anything else, good services. really nice ambiance and service ! very friendly and helpful staff, great and interesting experience. will definitely return! The owner & staff Dash was very informative towards my body analysis & gave me some well suggestions on my body management. sauna was clean & no odd smell. total privacy in a room full to yourself. Didn't sweat too much. Friendly service. Good environment, you get a private compartment for yourself, don't have to bring water as they provide lemon water and more than enough towels. Sweated less than expected but overall it was a good experience. Good experience. Really sweating alot. Choose bangsar shopping center. After sauna spa go back, parking fee RM5. Relax and sweaty with lemon water. very good! sweat out a lot and feel energetic! Good experience. Definitely going back against. Amazing and friendly staff! Had a good sweat too! Everyone is so friendly! love the session! Friendly staff and wonderful service. First rate sauna session. Great experience. Staff is very well trained n patient to explain everything to first timer. Hope they keep up the standard and wish can visit more than once evry month. Plssssss kfit!! Great way to get rid of all the toxins. @BSC; Staff was superb friendly. As a 1st timer, heat got overwhelming after the sauna so make sure you are HYDRATED and eaten 2hrs b4 sauna. Prepare to sweat! 15 ringgit for analysis was worth it! it's a very relaxing experience with caring host who was very attentive to my needs and she guided me throughout the whole session well. very detailed explanation, knows the product well. really sweated! After the infrared sauna, i felt fresh n full of charge^^ glad that i have Kfit and have chance to try a lot of great things!! Comfortable environment and relaxing songs~ very friendly service and always give sweet smile to the guest.. Keep it up! 45 mins of sweat sweat sweat! You have your own private room which is nice. Make sure to drink lots of water prior to going. They provide a tablet in the sauna room for entertainment purposes. Nice ! Clean space, feeling refresh after the session! the staff was good. she is knowledgable and really help me throughout my visit. the therapy was amazing as I get to detox heavy metals from my body! i hope we can increase this 2 times a month. LOL! it was great experience. 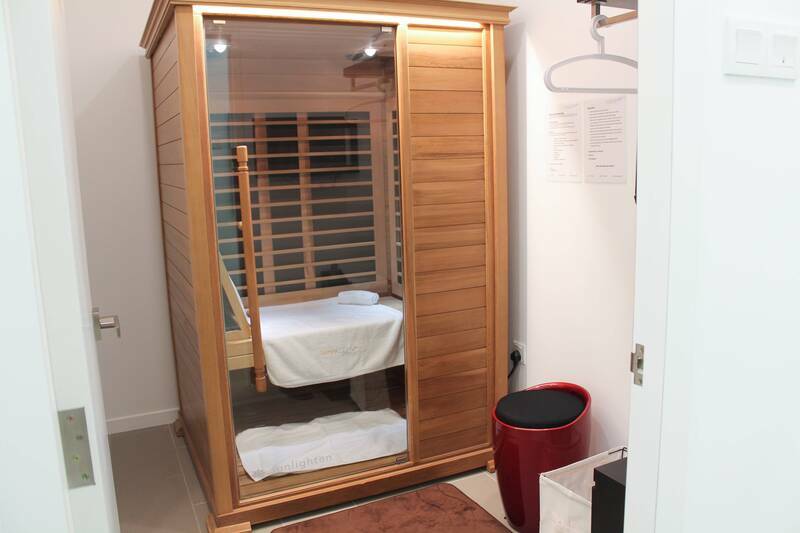 i was given with 3 in 1 infrared sauna for detoxification that took about 45 mins to complete the heat session. after the session ended, the lady at reception handed me another cold towel n lemon water that i got to calm down more from sweat. Staff is very friendly and helpful, thank you Catherine for your warm hospitality. Set up is nice and everything is provided for. Great experience! The crews are friendly, the place is nice and clean! Good location! 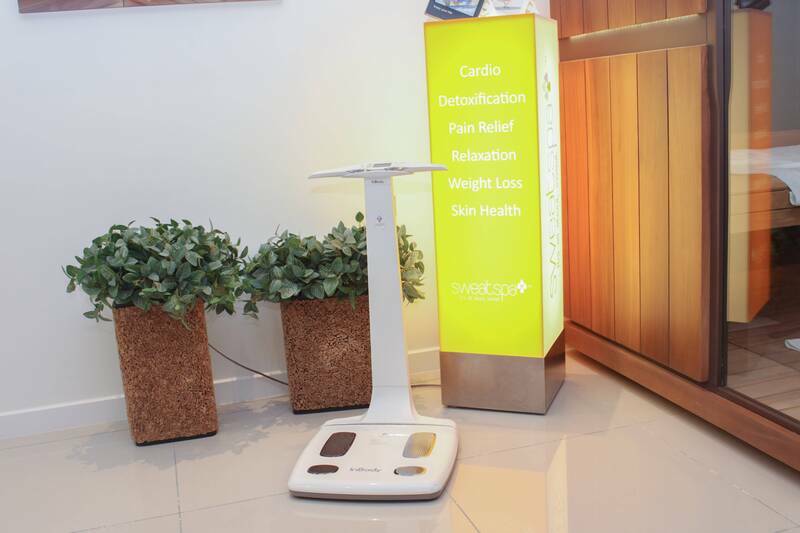 Sweatspa™ is the 1st flagship wellness center in Malaysia, providing high grade Full Spectrum Infrared sauna therapy, which effectively helps to detoxify the body of toxic chemicals, heavy metals, and excess fat. 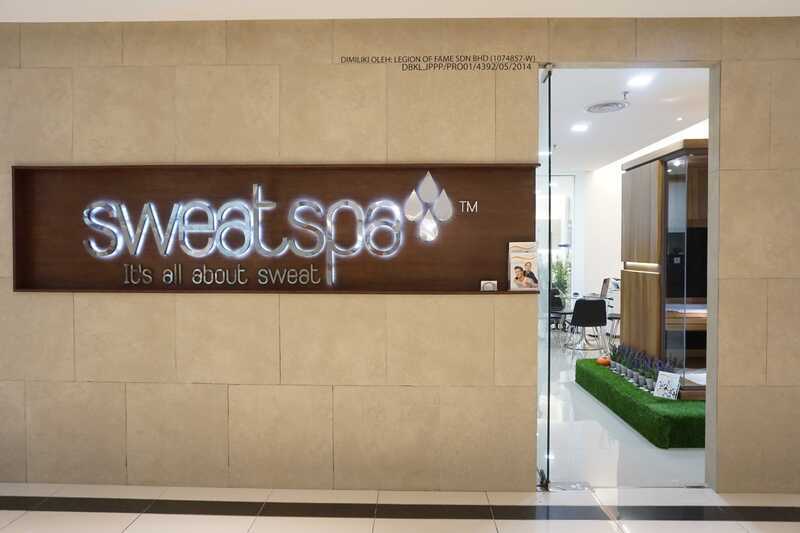 For sweatspa™, it’s all about sweating for better health, beauty, and vitality. 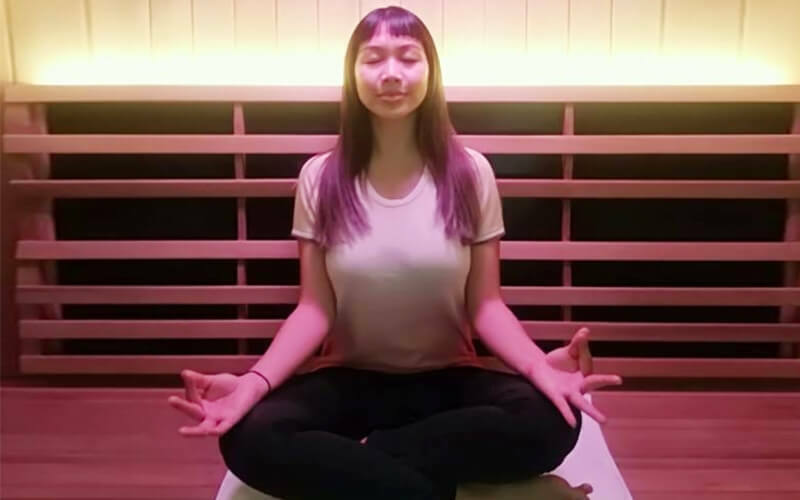 Our Full Spectrum Infrared sauna therapy is way ahead of the existing infrared therapies with its Near, Mid, and Far Infrared rays, which allows you to choose specific areas to target for your treatment process. We currently have several outlets within Malaysia, which includes branches at Atria Shopping Gallery and Great Eastern Mall.